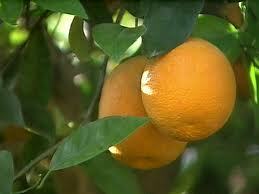 The science of Citrus Greening Solution brings a professional grade grove quality treatment to the home user. 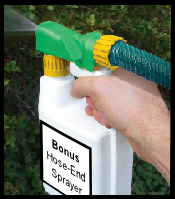 It has been used in commercial groves and university test groves for several years and has been proven to reverse the adverse affects of Citrus Greening. 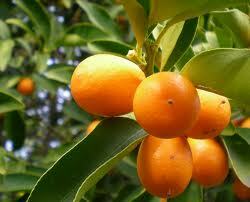 It has transformed groves from zero fruit production to over $300,000.00 in profit in just one season! Don't cut down your trees and re-plant, starting from scratch. Just follow our easy to use program instructions and your problem is solved. 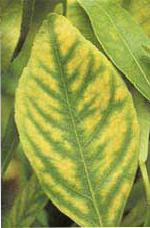 If you are like many of our other customers, you have read countless articles and baseless opinion pieces about what exactly causes Citrus Greening and the answer usually is to cut down your tree and start over. 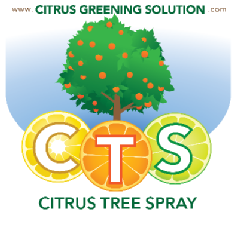 Now you have a Citrus Greening Solution that will enable you to treat your tree so you will continue to get tasty healthy fruit! We have proven results! 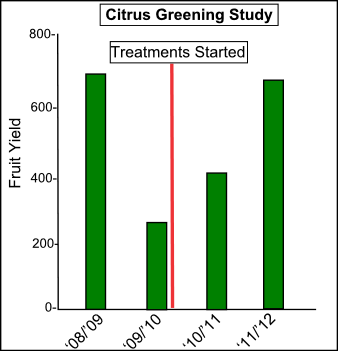 Trees that have been treated with the active ingredients in Citrus Greening Solution have been able to not only survive the Citrus Greening disease, but in some cases, actually produce MORE fruit with a higher sugar content. Citrus Greening is a bacterial infection that reduces the amount of nutrients your trees are able to produce so the leaves are mottled and the fruit is dropped, deformed or sour. Citrus Greening Solution enables your trees to produce more sugar from photosynthesis and your trees can get back to the pre-infection levels of quantity and quality fruit production. “I've been living here in central Florida for over 30 years, and my orange trees have been through blights, freezes, hurricanes, droughts and just about everything Mother Nature could throw at us, but NOTHING has taken them down like this citrus greening. Almost every piece of fruit drops, and the trees look horrible. 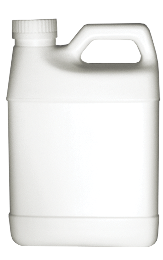 So many of our customers have been asking about ordering larger quantities so we have now added a larger GALLON size bottle! 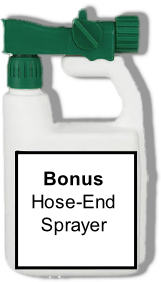 This is the most economical option if you need to treat 5-8 trees.